Self-advocacy skills are important to teach because they help children learn how to speak up for themselves for the actions and accommodations they need to be successful. Self-advocacy goals are also vital for creating transition plans when your child is entering college or changing schools. However, teaching children how to advocate for themselves can be a challenge when they have learning disabilities, social challenges or behavioral issues that may hinder communication skills. There are often assignment instructions that students with learning disabilities need clarified. So, it’s important for students to ask for help when they need it. However, they should also know when to ask for help at the right time. 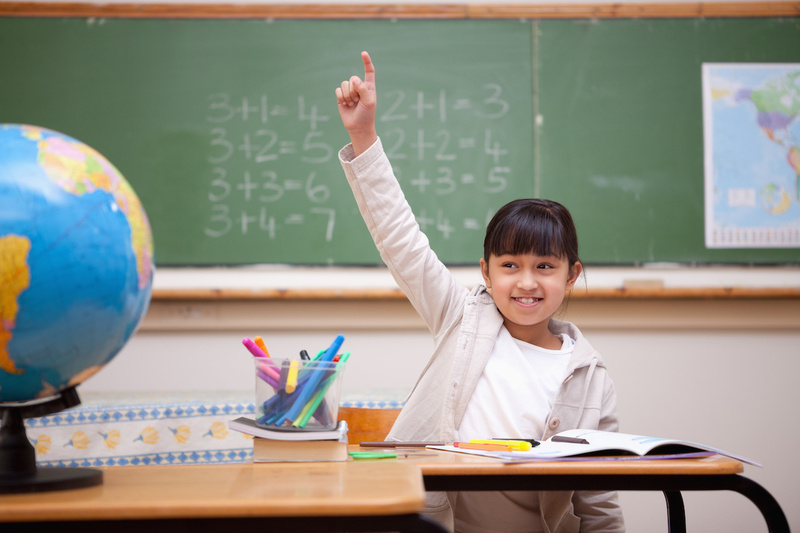 You can make it a goal for your child to ask for help by raising her hand at the time she has a question. You may also set the requirement for your child to ask the teacher for help after class when she has more individualized attention. Include a specific objective, such as asking for help three out of four times. Assistive devices and technology, such as Text-to-Speech (TTS) synthesizers, smart boards and reading tools, can provide the help that students with learning disabilities or social challenges need to excel in academics. For instance, studies suggest that TTS readers may improve reading comprehension and oral reading fluency. Thus, it’s important to include requesting assistive technology as a self-advocacy goal. Teaching students to ask for the technology they need to support their academic goals helps them build confidence in advocating for the tools they need for success in their careers, studies and adulthood as they age. Self-advocacy is about teaching independence and responsibility. That’s why making it a goal to include students in IEP meetings is essential. It provides them with an opportunity to express what they believe they need to help them to be more successful in school and in social situations. For example, you can request that the self-advocacy goal includes having your child attend the quarterly IEP meetings and suggest that his goal is to help develop his IEP. Including self-advocacy goals in your child’s IEP is important, but it’s also crucial to select goals that are specific to your child’s needs. Make the goals measurable and specific. By following these tips, you can help your child learn self-advocacy and build their confidence and independence for success in school and beyond. If your child has learning and/or behavioral problems, we invite you to consider the Brain Balance Program. Parents saw a 42% improvement, on average, in their child’s ability to learn in school after completing the Brain Balance program*. Contact us today to learn more! *Results based on a parent evaluation form filled out pre and post-program where the parents ranked a set of statements about their child, on a scale from 0-10 (0=not observed/does not apply and 10=frequently observed). Statement: Child has difficulty learning in school – 42% improvement for avg. student (2015-2018, data for 4,069 students where parents reported this issu).